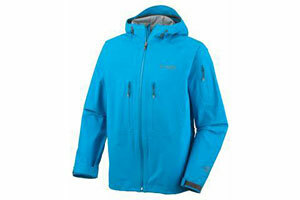 Probably the highest performance lightweight shell Columbia has ever made, this one is worthy of the hefty price tag. The Peak 2 Peak's three-ply air permeable membrane Columbia dubs Omni-Dry actually out performs some Gore Tex shells. The Peak 2 Peak remained highly breathable even when moving uphill with a pack, and we liked the details: adjustable wrist cuffs, wire brim on the adjustable hood, a sleeve pocket and fully sealed seams. All that comes in at about 15 ounces, making this a good choice for long backpacks when you may only need it once or twice. Backcountry travelers who prize keeping their base layers dry will find this technical garment from Columbia worth the cost. 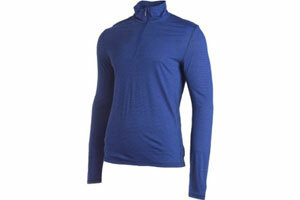 As a versatile, virtually four-season next to skin layer, this new top from SmartWool stole the show last year. Made from 100 percent merino wool jersey, a fabric so soft and comfortable it's frankly hard to believe it's wool, the Microweight wicks moisture as well as any first layer we've tried, and ventilates so well with the one-third zip it remains comfortable over a wide temperature range. One of the best features of this fabric is that it doesn't trap funky odors like a lot of synthetics. Typical of SmartWool products, the attention to detail here is impressive, right down to the flatlock seams to prevent chafing. I wore this as my first (and often only) layer on a hike in the Canadian Rockies last summer, and it kept me comfortable from dawn til dusk, when I found that combining it with the NTS Lightweight Zip T creating the perfect complement: two layers of Merino wool wick moisture as well as one, with no loss in breathability. These versatile shirts are all about comfort and performance.